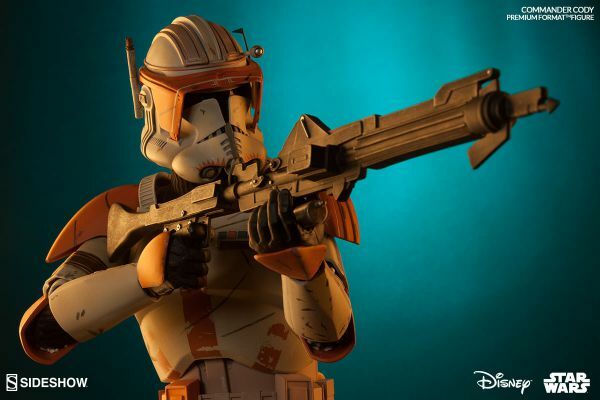 Produktinformationen "Commander Cody Premium Format Figure by Sideshow Collectibles"
"When have I ever let you down?" Sideshow Collectibles presents Commander Cody, the practical, cool-headed leader of the 212th Battalion's highly decorated Ghost Company. Our dynamic Premium Format figure wears a phase II bucket and detailed armor bearing the distinctive markings of Cody's famed unit. Leading the charge, he hits the battlefield armed with a DC-15 A Blaster Rifle complete with detachable grappling hook. This skilled tactician joins the ranks of Sideshow Collectibles' Star Wars Premium Format collection, faithfully serving the Galactic Republic, no matter what is asked of him. Weiterführende Links zu "Commander Cody Premium Format Figure by Sideshow Collectibles"
Kundenbewertungen für "Commander Cody Premium Format Figure by Sideshow Collectibles"